Own your haven! Parklike setting on 3+ acres, with outbuilding! Fire pit, swimming pool, volley ball court. See supplement! Close to DT Lakeville. 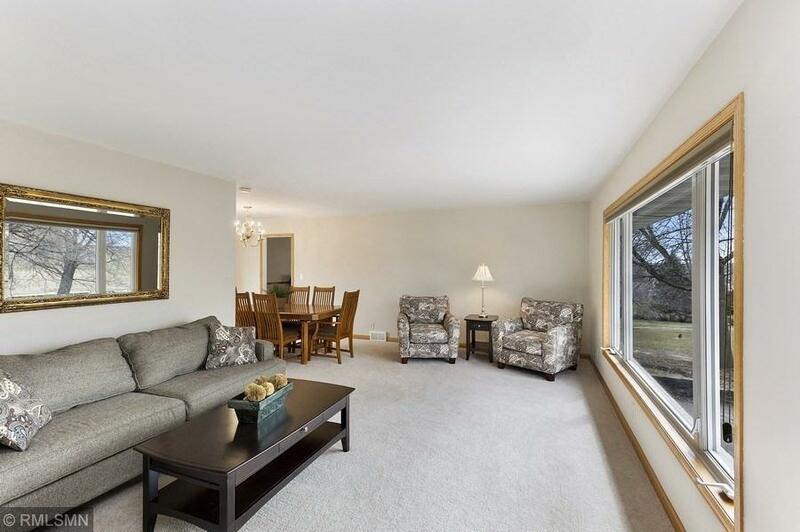 Freshly painted, neutral, newer carpet, great windows and views! Gigantic family room on main level, great for entertainment, and one on LL! Both with fireplaces! Kitchen has eat-in kitchen, with pantry, with walk out to back yard. Separate DR and LR is a bonus! This is a huge home! One of a kind!